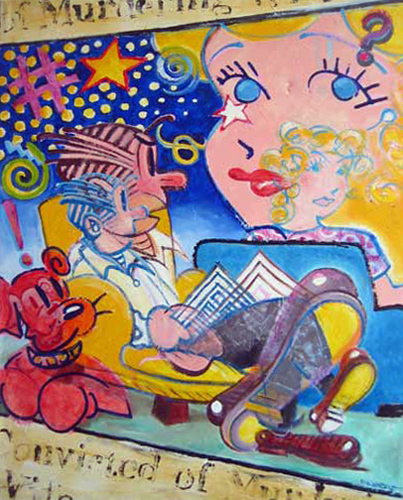 Dagwood and Blondie were my first subject matter when I started painting in the 80's. They were a good vehicle for love, hate, and appetite. They still are. This piece is pretty early and pretty big, about 38 x 44. $2400 unframed.